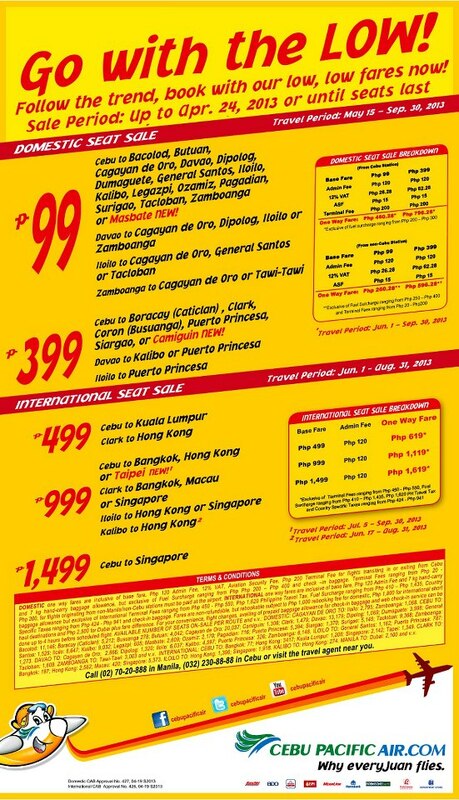 Cebu Pacific is offering again low fares for April 2013! So make sure you have planned your travels this coming MAY to SEPTEMBER 2013. Ozamis, Pagadian, Surigao, Tacloban, Zamboanga, or Masbate.